Human Apo AI ELISA Kit | Cell Biolabs, Inc. The Human ApoAI ELISA Kit is an enzyme immunoassay developed for the detection and quantitation of human apolipoprotein in plasma, serum or other biological fluid samples. Each kit provides sufficient reagents to perform up to 96 assays including standard curve and unknown samples. 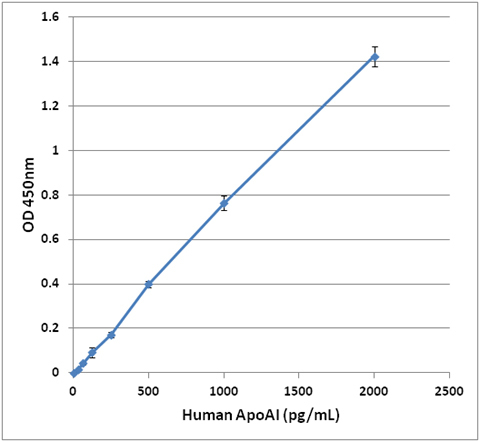 Figure 1: Human ApoAI ELISA Standard Curve. Cochran, B. J. et al. (2016). In vivo PET imaging with [18F] FDG to explain improved glucose uptake in an apolipoprotein AI treated mouse model of diabetes. Diabetologia. doi:10.1007/s00125-016-3993-5. Song, X. et al. (2014). APOA-I: a possible novel biomarker for metabolic side effects in first episode schizophrenia. PLoS One. 9:e93902.